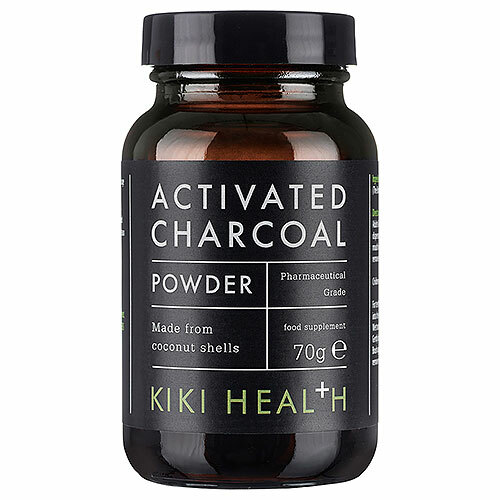 KIKI’s Activated Charcoal is a finely reduced powder (5-10 microns), which presents a huge surface area for the absorption of unwanted substances. So when taken orally or used on teeth or skin it works as a sponge to soak up contaminants. 1 level teaspoon dispersed in a glass of water, taken by mouth immediately. Rinse with water to remove any residue. Put a small amount of powder into the palm of your hand. Wet toothbrush and dip into powder. Gently brush for 2 minutes. Brush again with water or toothpaste to remove residue. 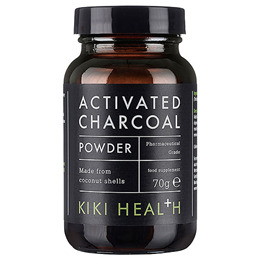 Below are reviews of KIKI Health Activated Charcoal Powder - 70g by bodykind customers. If you have tried this product we'd love to hear what you think so please leave a review. Brilliant! So many uses! Whiter teeth, anti indigestion just a few tried and true.